Plan on staying up late if you choose IF YOU’RE LUCKY, by Yvonne Prinz, for a bedtime read. 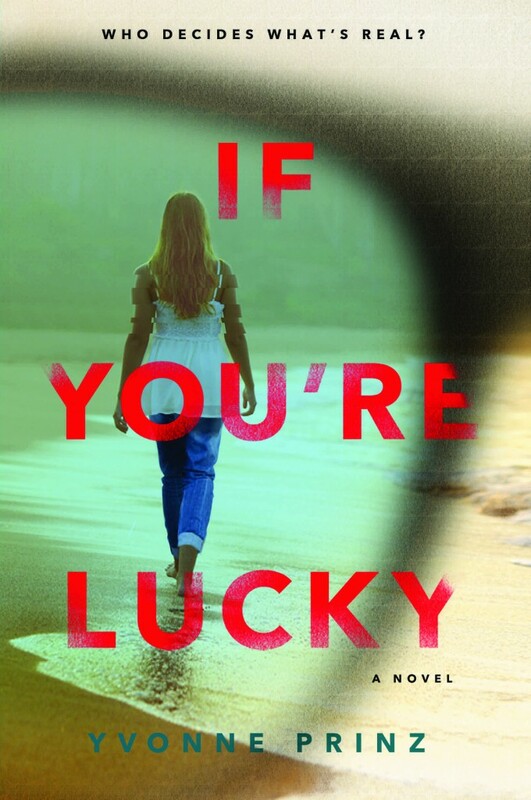 This young adult novel, which goes on-sale in October 2015, is a quick read and a gripping thriller. Then handsome, enigmatic Fin shows up, saying he was a close friend of Lucky’s, although George had never heard of him. Fin charms his way into her family’s life, even earning the devotion of their dog, and begins to romance Lucky’s girlfriend. She starts to question whether he might have murdered Lucky, just to take his place. I won’t give away the specific nature of George’s mental illness, which isn’t revealed until the tension starts to build. The reader is left to ask: Is George right about Fin? Or is she delusional and paranoid? My only real criticism–and this isn’t much–is the use of the name “Lucky,” and how it played into the title and resolution. It felt slightly gimmicky, to me. But I did think that George’s objections to taking her meds–and sometimes, her outright refusal to take them–rang true, from what I know about mental illness. She’s a realistic and believable character, and you find yourself rooting for her. I received this book as an advance reading copy from the publisher, but that has not influenced the opinions I’ve expressed here.